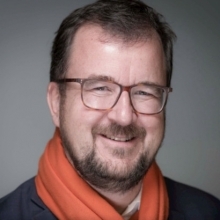 KEYNOTE SPEAKER - Bertrand is CEO and Founder of Blue like an Orange Sustainable Capital. He served as Managing Director of the World Bank and World Bank Group Chief Financial Officer. Bertrand was also the group chief financial officer at Société Générale and Crédit Agricole. He represented these institutions at the FSB, G7 and G20. Author of 'Can finance save the world'? 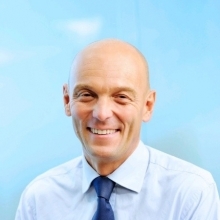 Pierre is responsible for leading the Group’s strategy to grow the corporate franchise, by increasing connectivity across the business and the regions as well as driving cross-platform opportunities with Bank of the West in the US. Prior to his appointment, Pierre served as CEO of BNP Paribas Singapore and Regional Head of Southeast Asia since October 2013. Is finance the cause of disaster or the most powerful tool to save the planet? Used correctly, finance can be at the heart of the way we address many of the world's problems, ranging from climate change to the eradication of poverty to building much needed infrastructure. How to turn our financial system from a poor master to a great servant? Innovations in financial tools and approaches are already happening around the world. The panel will look how the ESG criteria are shifting towards the UN SDGs, how new relevant data allow the investors to select really positive projects, and the role intelligent regulation can play in channeling the power of finance in a positive direction. Impact investing is getting bigger and bigger, a ray of hope for a more sustainable future. En cas de désistement merci de nous prévenir au moins 48h à l’avance.